After a long gap, gold reserves rose by $366.5 million to $20.888 billion, according to the latest RBI data. 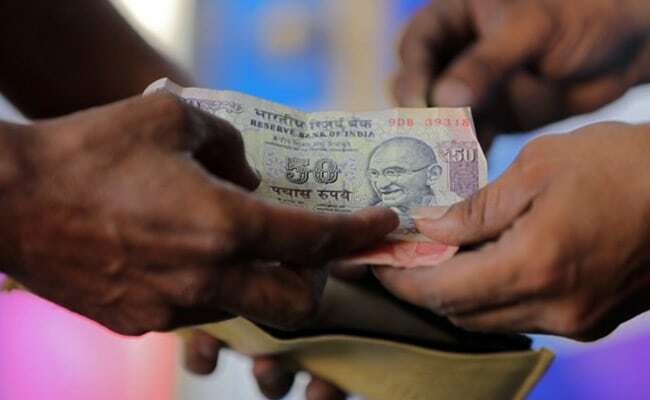 After multiple weeks of decline, the country's foreign exchange reserves swelled by $1.054 billion to $393.132 billion in the week to November 2, driven by a jump in foreign currency assets and gold holdings, data from the Reserve Bank of India (RBI) showed on Friday. Total reserves had dropped by $1.444 billion to $392.078 billion for the previous reporting week. After a long gap, gold reserves rose by $366.5 million to $20.888 billion, according to the latest RBI data. Foreign currency assets rose by $487.7 million to $368.138 billion. Expressed in US dollars, foreign currency assets include the effect of appreciation or depreciation of non-US currencies such as the euro, the pound and the yen held in the reserves. Forex reserves had touched a record high of $426.028 billion in the week to April 13, 2018. Since then, the reserves have been on a slide and are s now down by over $31 billion as the monetary authority has been selling dollars to contain rupee volatility. The country's reserve position with the International Monetary Fund rose by $192.2 million to $2.639 billion, the apex bank said. However, the special drawing rights with the Fund slipped $200,000 to $1.465 billion. The central bank has been ramping up gold reserves in recent years and for the first time in nine years, it added 8.46 metric tonnes of gold to the reserves. The last time the RBI had added gold reserves was in November 2009, when it had bought 200 tonnes from the IMF. The central bank held 566 metric tonnes of gold as of June 2018, up from 558 metric tonnes held in the corresponding period last year, according the RBI annual report for FY18. The increase was on account of an addition of 8.46 metric tonnes during the year. Of the 566 metric tonnes of gold reserves, 292 metric tonnes were held as backing for notes issued and the balance 274 metric tonnes treated as asset of its banking department. Gold reserves averaged 452 metric tonnes from 2000 until 2018, reaching an all-time-high of 566 metric tonnes in the second quarter of FY19 and a record low of 358 tonnes in the Q2 of 2000, as the per the annual report.